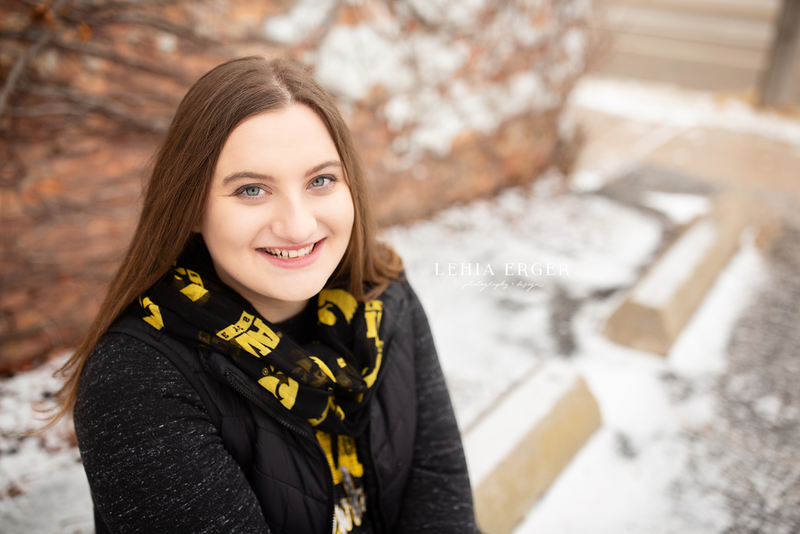 Abbey’s senior session was a first for me — in the SNOW! 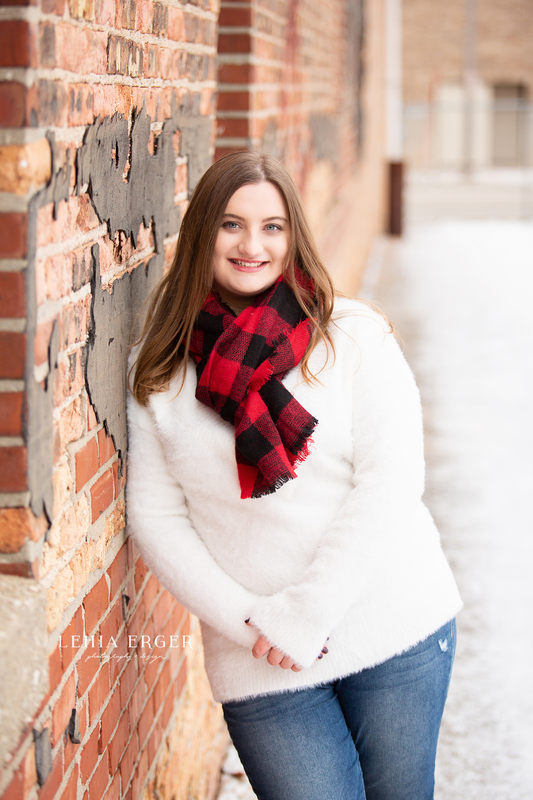 My calendar was fully booked for the fall, so Abbey decided do something different and have her senior photos taken during the winter, which sounded amazing. 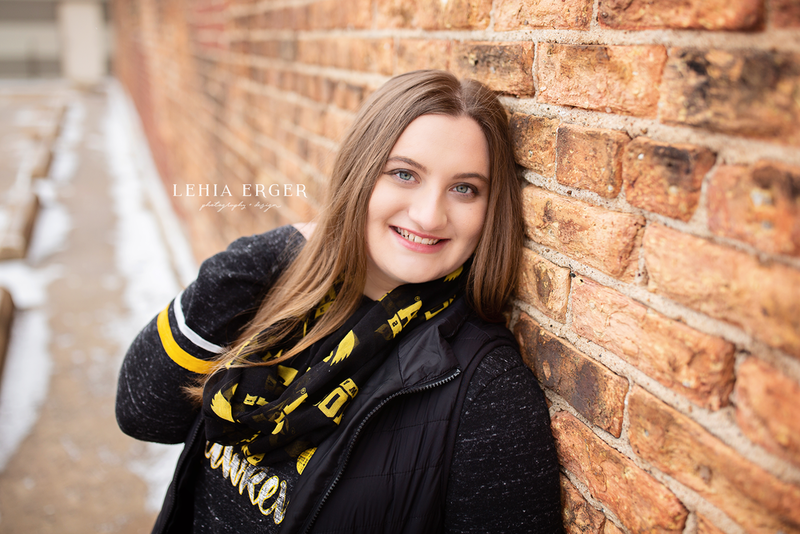 And I’ve never had a winter senior session! I LOVE photos with snow! They’re ALWAYS gorgeous. We chose a date knowing fully well that the weather in Iowa is super unpredictable. We can’t pick a day and guarantee to have snow, or sun, or whatever we might be hoping for, right?! They week of the scheduled date approaches, the forecast says partially sunny and high of 27 degrees. We have no snow on the ground at this time, which is some sort of Iowa phenomenon. I reach out to see if they’d prefer to reschedule or just do her session snow-less, with the promise that we can try to use my snow machine. They decide it’s ok either way. So we make plans and guess what?! It snows the night before!!! A light, perfect snow. I couldn’t have asked for a more perfect snow for Abbey’s winter photos! Some behind-the-scene photos courtesy of Abbey’s mom. These two are two peas in a pod — I loved my time with them. 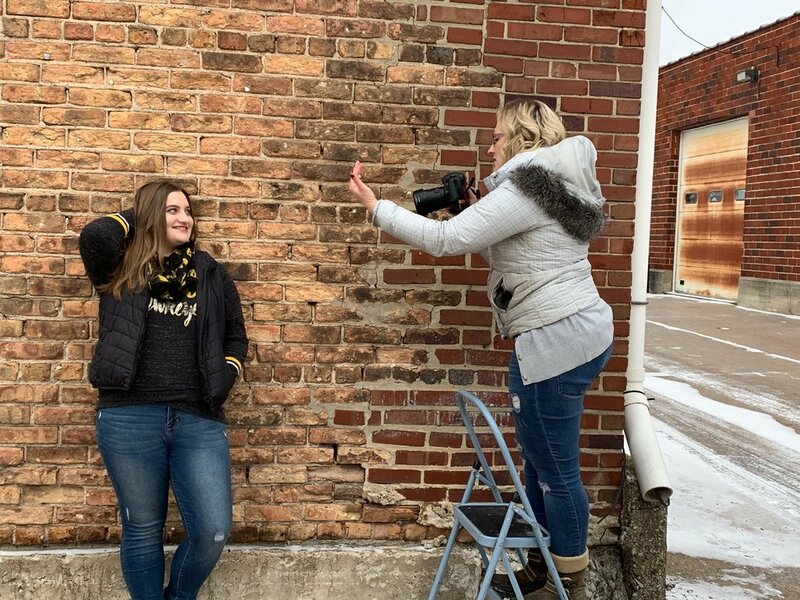 Abbey’s senior session day started with getting pampered by Shelby at Mood’s Salon and Spa. She got her hair and makeup professionally done and LOVED it! It makes such a difference in your photos AND confidence level. I learned after the photoshoot that Abbey is not the type who loves getting dressed up, but she had a great time getting dolled up and was actually surprised that she loved the photos in her dress! And I mean, seriously, she rocked her WHOLE session. Look at her amazing eyes!!! We traveled to 3 different locations: a park, greenhouse and downtown Cedar Rapids. And I convinced Abbey to change outfits 4 times. (I don’t limit how many locations or outfits you want- woot woot.) We sure froze our booties (and hands and ears) off, took so many stunning photos, and most important — we had a blast! Check out Abbey’s gallery below!